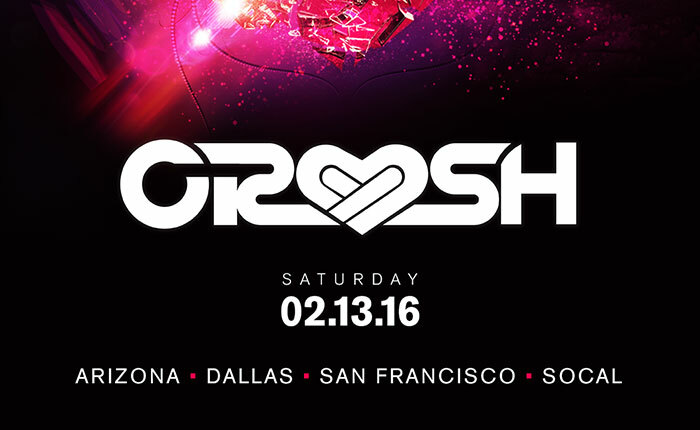 Insomniac Events just announced the return of their annual Valentine’s Day party Crush. 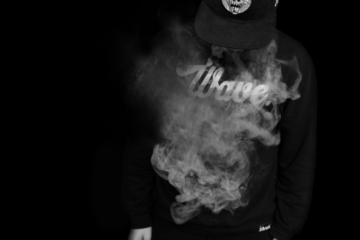 The second edition, which took place on Valentine’s Day earlier this year, saw a whole bunch of different artists take to the stage in three cities across the West Coast: San Bernardino, San Francisco, and Chandler, Arizona. 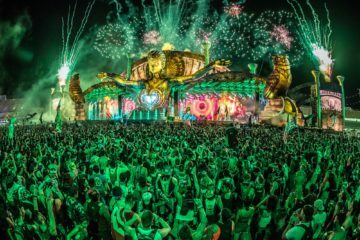 This year, Insomniac will look to expand their rapidly growing party by entering into Texas with a February 13th party scheduled in Dallas. 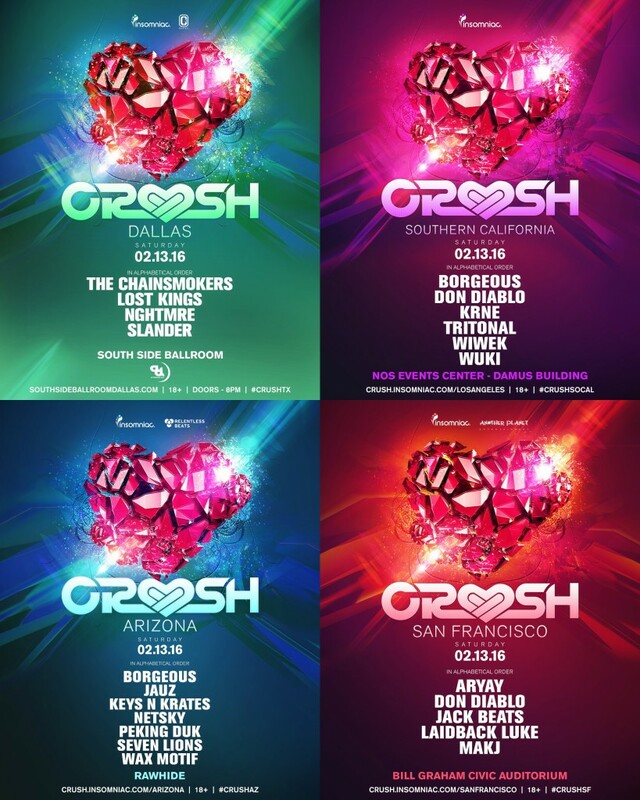 Crush will also return to the familiar locations of San Francisco, San Bernadino, and Phoenix. 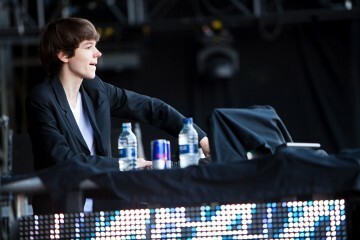 While artists vary city to city, The Chainsmokers, Lost Kings, NGHTMRE, Jauz, Don Diablo, Laidback Luke, and MAKJ are just a few of the DJs who are scheduled to perform at Crush. Tickets will be available to the general public on Monday, Nov 30th at 10 AM PST with a special discounted rates for all those lovebird couples out there itching to attend Crush available at some locations. Dallas: Couples pass (must purchase 2 at this price): $65. 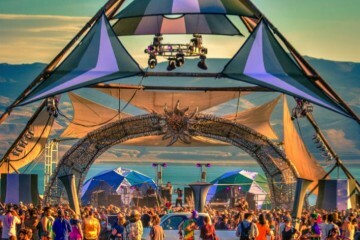 Single pass: $27 for early bird and $35 for general on sale. Check out the four posters for each city below to find out which artists you’ll have for your local show and where it’ll be taking place.